The best video editor to help you eidt video with powerful features. The standard of watching videos is really taking a big leap of late. The whole experience of watching a video has changed now with the introduction of 360 degree video or VR videos and movies. You may have already known how to shoot panorama photos with your Android phone or iPhone, but how to make a 360 video with these specially shot panorama photos or videos? One of the very crucial parts associated with this video making is video stitching. This is nothing but the process of combining various videos with the overlapping fields in order to create a panorama video in a single screen. The process is mostly performed through computer software. The process requires the exact overlaps of videos and identical exposures. The fact is this process is being used by many for different purposes like videography to military surveillance. But which app you should choose for your video stitching – the answer is given below. Here we will cover the top 5 video stitching software. The first one on the list is Video Stitch Studio, which cost $295. VideoStitch Studio is one of the best video stitching software for 360 and VR video post-production. This is a European start-up that is offering solutions for virtual reality video production. They are committed to creating 360 degree video live. It takes multiple cameras for creating high-resolution panoramic video covering the 360 degree angle without any blind spot. The user-interface is very easy to understand and operate. More features are being added in the app to offer the best solution. The developers are planning to add technology that will let people produce 3600 3D videos in a real-time preview. 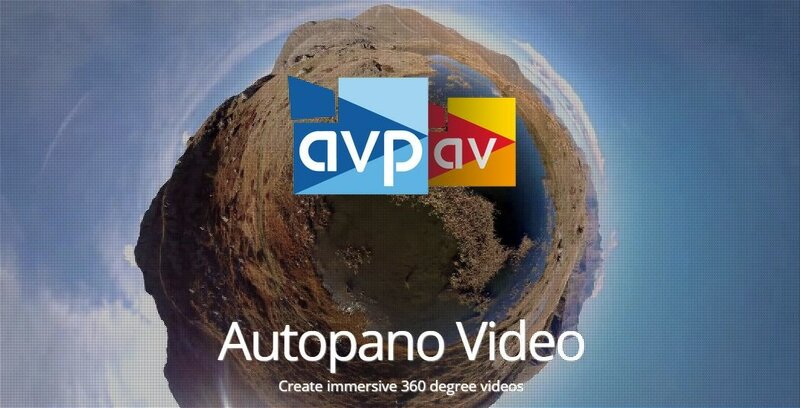 Atuopano video is a video stitching software which allows you stitch several videos into an immersive 360 degree video. The company was started back in 2004 by Alexandre Jenny and Lionel Laissus. 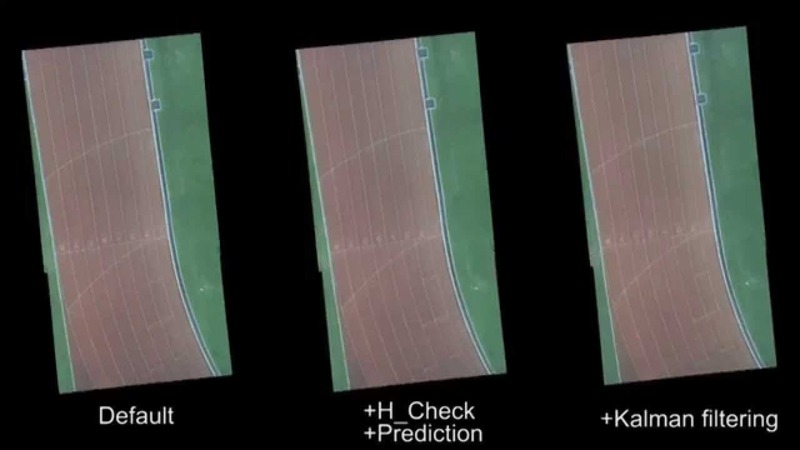 This is the first company to recognize the potential of technology in identifying the interest point of an image. And they have come up the most popular video stitching software of the present time. The intention of the company or you can say the mantra of the company for its video-stitching software is stitch and create videos 3600 automatically. One of the features of Kolor Autopano Video is that this video stitching software let people combine videos into a single shot the covers the entire 360 degree. You can get the Autopano Video 3 alone at the price of $700, but if you also purchase Autopano Video software and Autopano Giga software for $819. The Autopano Video is to stitch the video footage and the Autopano Giga software is used to fine tune the stitching. A student from National University of Singapore has designed a revolutionary prototype named after SkyStitch. This is a high-definition video surveillance system which is carried and flown by quadcopters. It captures real time video. In simple words, it stitches videos from multiple streams and create a combined feed. This is appropriate for aerial surveillance application that is in requirement of wide angle view and high resolution video. Say for an example, at the time of a search mission or rescue mission SkyStitch can provide panoramic view of 360 degree in high resolution to help and guide the emergency professionals. The benefit of this video stitching software is so strong that it can combine 12 HD quality videos in single frame within just 50 milliseconds even at prototype stage. The market value for such systems is going to hit billions of dollars in the near future. Mocha VR can be used either as a standalone application or as a plugin for Adobe After Effects, Adobe Premiere Pro, Sony Vegas Pro and a number of other video editing software. It employs an advanced planar tracking feature that enables its users to easily track or replace objects in spherical videos. Mocha VR lets you import and edit footage captured with cameras like Z Cam, Vuze or Nokia Ozo, among others. It also enables you to stabilize shaky footage and reposition equirectangular footage. Furthermore, Mocha VR provides lens correction and masking tools which give you the freedom to conceal and remove the mistakes on the raw 360-degree footage. The application contains tools that enable you to work with footage that was captured with regular non-360-degree cameras. The process of stitching 360-degree videos together can take hours because video files produced by omnidirectional cameras can be enormously large. StereoStich is designed to reduce the amount of time necessary to combine the spherical videos through the real-time stitching process. The software is GPU mobile compatible and it can be embedded inside the camera, which decreases the amount of time you have to spend in the editing room. StereoStitch can generate 3D 360-degree videos in real time and it automatically performs color correction. It is compatible with a wide range of cameras, which makes it a perfect option for live broadcasts of concerts, and countless other types of events. The software works well with drone cameras or cameras used by professional film crews to provide a live preview of the scene that is being recorded. Besides the expert 360-degree video stitching software described above, you can also use some professional video editing software to compose and stitch 360 videos. PC owners in need of a video editing software that is both affordable and rich with 360-degree video editing features should try using CyberLink PowerDirector. Besides providing the 360-degree preview the software also lets you add visual and text effects to your immersive videos, once you stitch them together. Cutting or trimming equirectangular footage in CyberLink PowerDirector is a quick process that is not different from cutting or trimming any other type of video. Adding text, creating PIP effects, performing color correction, applying visual effects or stabilizing shaky footage are just some of the options PowerDirector offers, however, using them will require you to familiarize with the 360-degree video editing process. The current version of CyberLink PowerDirector only lets you export 360-degree videos as H.264/MP.4 files at the highest video resolution of 3840X1920 pixels and 30fps. To edit a 360-degree video with Magix Movie Edit Pro you first need to create a 360-degree project and then switch to the 360-degree view. The software will stitch all your spherical videos in real time, but how long the process is going to last depends on the size of each file you're stitching together. The software's video monitor displays only a portion of the entire spherical video, but you can easily change which part of the shot is visible by clicking on the video monitor and dragging the mouse cursor. Besides enabling you to stitch 360-degree videos, Magix Movie Edit Pro also lets you apply video effects, adjust colors or add overlaying images to the original video. However, the software's exporting features are somewhat limited, because you can't upload 360-degree videos directly from the software to online video sharing platforms. The software offers support for both Monoscopic and Stereoscopic videos, which means that you can use it to create VR and 360-degree videos. Furthermore, Pinnacle Studio Ultimate lets you import raw footage that is displayed as equirectangular, Fisheye or Dual Fisheye and it stitches it together into smooth 360-degree videos. During the editing process, you can trim or clip videos, add titles or graphics and edit the 360-degree video clips as footage captured with a 4K or Full HD cameras. In addition, the software lets you convert 360-degree videos into standard videos that can be played on TVs or video players. Once the video editing process is complete you can export your 360-degree videos to Facebook, Vimeo or YouTube platforms directly from the Pinnacle Studio Ultimate or you can save them to your computer and watch them on a VR headset or on a 360-degree video player. A few years ago, Skybox Composer plugin that offers support for editing immersive videos has become available for Adobe After Effects. Today, a few years later the plugin has been replaced with a built-in feature called VR Comp Editor, that can be accessed from the software's Windows menu. Its users can choose between 2D Edit (Monoscopic) and 3D Edit (Stereoscopic) options, view the footage from the Point of View perspective and post-process the 360-degree footage in the same way they would edit the 'flat' footage. Adobe After Effects features a plethora of 360-degree video editing tools, which means that you can adjust colors, insert text or apply visual effects to your spherical videos. The software also provides several output options, including Fisheye (Full Dome) or Equirectangular 2:1. The Immersive Video option that is now available on the latest version of Adobe Premiere Pro CC makes stitching 360-degree videos together or post-processing them a routine job. The software offers support for all equirectangular file formats, which means that you can import your 360-degree videos into the Adobe Premiere Pro the same way you'd import any other type of media file. However, you have to enable the VR Video option to preview the 360-degree footage in the software's Preview Window. Adobe's famed video stitching software grants you access to powerful 360-degree video editing options, so you can add logos and all other types of images, insert text boxes or adjust colors in video clips you choose to include in your immersive videos. Even though Final Cut Pro lets you edit 360-degree videos, you need to make sure that your computer meets the technical requirements necessary for editing spherical videos. Furthermore, if the 360-degree footage captured by the camera isn't stitched together, the software won't permit you to import the footage unless you install a plugin. Before you can start editing you have to create a new 360-degree video project, so you can begin utilizing the software's 360-degree video editing tools. During the video editing process, Final Cut Pro enables you to preview your footage using the VR headset, but you can also enable the Final Cut Pro 360-degree viewer. You can export the immersive video to Facebook 360, YouTube VR or Vimeo 306 platforms directly from Final Cut Pro. Over the last few years omnidirectional cameras have grown in popularity, and capturing 4K 360-degree videos no longer requires you to spend a lot of money on a camera. Finding video stitching software that enables you to edit your spherical videos and share them on social networks is not as simple. Professional video editing software products like Adobe After Effects or Final Cut Pro are probably among the best options for advanced 360-degree video producers, while CyberLink PowerDirector or Movie Magix Pro are better adjusted to accommodate the needs of less experienced 360-degree video editors. For those who are looking for a special video editing software which has the ability to edit the action camera video footage with ease, we recommend you to try Wondershare Filmora. Speed Adjustment: Change video and audio speed with ease.